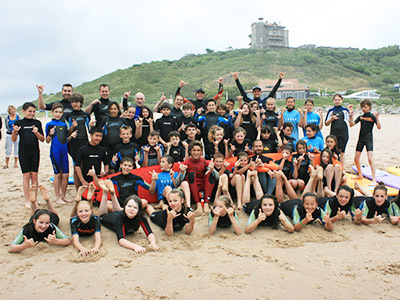 OUR OFFERS - The Ilbarritz surfschool - between Bidart and Biarritz. Group lessons is a 1:30 span, with maximum 8 students. Your instructor will be able to give you his tips and you will also be able to benefit from the group effect in order to motivate you again and again. The school offers for kids a formula under 10 years old. 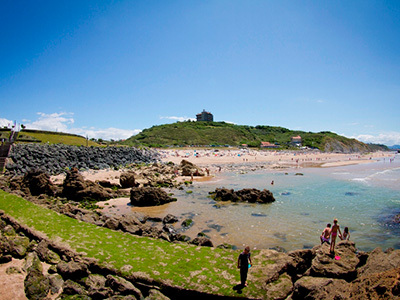 This course will take place at the moment when the tide is lower, for an optimum safety with children. This course will last 1H. For the more adventurous, we offer you an exclusive course for an optimal improvement during 1H. A lesson of 1 hour with 5 students maximum, organized at the best moment of the tide according to the level and the skills to be acquired. Video analysis and progress report. 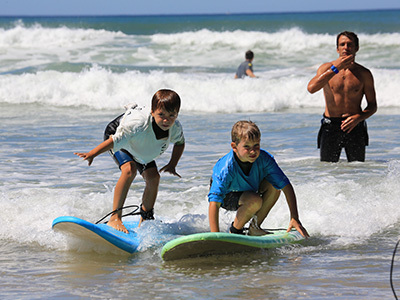 Our surfschool is partner with several resorts to offer you an accommodation for your stay (Le Ruisseau campsite, Le Domaine de Françon ...). You can benefit discount on the surf packages. Our school welcome you for groups during seminars, bachelor party, birthday for the children with taste ... one lets you find an occasion.